Open your Mountain House Pool today! When the warm California weather arrives and you want to enjoy your outdoor living space again, call Tracy Pool Service and Repair Inc for pool opening in Mountain House, California. We offer exceptional service at competitive prices, all backed by our satisfaction guarantee. Trust our staff to get your Mountain House pool up and running for another incredible season. Tracy Pool Service and Repair Inc handles all levels of pool maintenance and care, from pool opening to regular cleaning, pool repairs, and pool closings. Mountain House residents have come to expect prompt service that exceeds all expectations in terms of excellence and efficiency. We work hard on every job, no matter how large or small. Our long list of satisfied Mountain House customers can rely on dedicated, thorough attention each and every visit. Mountain House residents count on our affordable rates for all levels of pool maintenance, including pool opening and closing. Tracy Pool Service and Repair Inc ensures competitive prices and superior service for any home in the Mountain House region. We believe that keeping your California pool clean and safe should be simple and manageable, not create a burden on family finances. Talk to our expert sales staff about obtaining a customized quotation on your pool service from Tracy Pool Service and Repair Inc, including pool opening in Mountain House, California. Tracy Pool Service and Repair Inc began servicing customers in 2017 and still strives to meet and surpass our client’s expectations, helping Mountain House residents to squeeze every moment of fun from their swimming pool. Not all pool cleaning services are equal, but Mountain House clients can trust the experience of Tracy Pool Service and Repair Inc. Our satisfaction guarantee protects pool owners from excess costs and unhealthy pool conditions, building trust between Tracy Pool Service and Repair Inc and countless local clients. Tracy Pool Service and Repair Inc’s solid reputation in the California area speaks volumes. 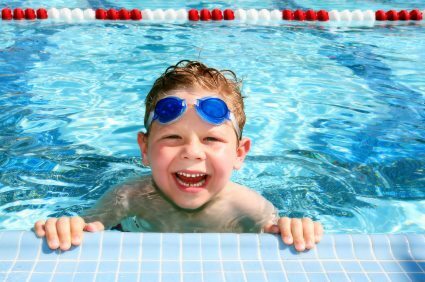 Get your backyard fun off to a fantastic start every season with the professional service and affordable prices of Tracy Pool Service and Repair Inc. We offer all levels of pool maintenance, starting with pool opening in Mountain House, California and moving through the swim season with expert pool maintenance backed by our satisfaction guarantee. Call (209) 407-4770 today for more details.